Interval training is one of the most popular forms of cardiovascular workouts and there are many reasons why. Interval training is where you pace yourself with bursts of low or high intensity activities. And throughout this article we are going to explore the lower intensity part of the scale which includes workouts such as swimming and running which can be done at your leisure. And as this rate of activity is much lower than that of the high intensity, you will find that you will more likely want to participate often. So have a read through this article to discover further reasons why you should take a look at LIIT when planning your new year’s workout regime. Before we explore the positive effects of LIIT training and how it compares to HIIT, we need to look into what the type of fitness actually is. LIIT stands for Lower Intensity Interval Training which means that you perform lesser intensive exercise over a certain period of time while still allowing for ample recovery time. 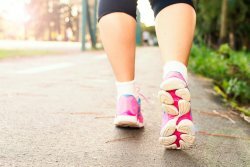 And due to the fact you are choosing lower intensive activities such as swimming, running or walking, you will be able to keep up with the stamina easily compared to a higher impact fitness regime. Doing interval training helps to keep your fitness and health in check while still taking into consideration how vital rest is to maintain your physical and mental state. And as you are able to carry out this type of training over a longer period of time, you will find that you will still reap the same benefits allegedly as that of HIIT which is at a much faster pace but shorter workouts. The lower intensity training is mainly used as a way to lose weight via a more manageable fitness regime. This is down to the fact the aerobic energy used during the workout helps to increase the efficiency of the burning of calories and fat. Aerobic energy is one of the main factors of successful weight loss as it uses its stored fat to create fatty acids and oxygen, therefore breaking down the excess fat and using it to power you through the workout. 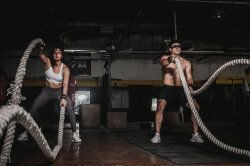 How does it compare to HIIT? As discussed above, LIIT is a slower paced workout regime which consists of longer activities to boost your stamina in time. Whereas on the opposite end of the scale there is HIIT which is for higher intensity workouts which are fast paced bursts of moves with a limited rate of recovery in between. The main difference between the two types of training is the intensity rate of the workout. However, some may favour HIIT over LIIT and vice versa. This is purely down to how manageable the regimes are and how easy they can be integrated into your routine. People often find HIIT easier to schedule in around work, school or other day to day activities as it only takes a few minutes to do. However, LIIT is aimed more towards those with a longer period of time available. Although, both combined could be a fantastic way to variate your regime, so looking to integrate both into your schedule could be very beneficial. However, some doctors may recommend this type of fitness to a number of people as they will most certainly benefit from the lower intensive activities. This is perfect for those who are currently recovering from a muscle or bone related injury to help them regain strength and increase their range of movement. And it is also fantastic for your mental state too without being too demanding on your body so would be ideal for a range of mental health conditions too. So it is always recommended that you check with a health care professional first as they will be able to point you in the right direct with what will help you. 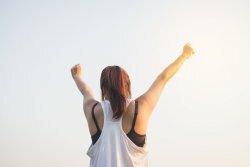 When reading through this blog, you have discovered not only the positive effects of LIIT on your overall health, but we have looked into how it compares to HIIT and who it can be beneficial for. But after exploring all of these areas of this popular fitness trend, we want to know your thoughts and opinions on this form of training. Have your ever tried Low Intensity Interval Training and how did you find it? Was it manageable to fit into your daily regime? Or are you feeling inspired by this article to look into it yourself? Let us know over on our social media channels where we would love to chat everything health and fitness with you! Spruce up your workout wardrobe by browsing our exercise clothing page over at Sports Fitness and kit yourself out in style. Full of high quality performance apparel, you are guaranteed to find all you need under one roof to create a cohesive sports clothing collection.